New investors may not know the difference between the two, so let me give you an analogy. 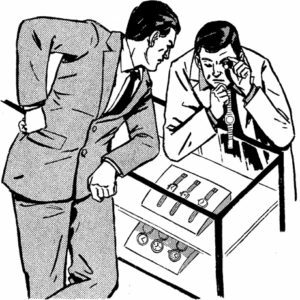 You visit a watch store and you have your eyes on two specific watches. A used Breitling at $500 and a fake Rolex at $350. The fake Rolex might get a face value but anybody worth his salt will know it is a fake in a few minutes of holding it. It is an easy show-off. The used Breitling, on the other hand, is a good value for money, even if it costs higher and has a dent or two. If the fake Rolex stops working, that may be the end of your $350. But, if that Breitling has a problem, you can get it fixed. You might even sell it at a higher price in future. In case you are still wondering, Fake Rolex is a cheap stock at a good price. Its value is fairly limited and may end with you losing your investment. As a new investor, how do you find a great stock at a good price? What indicators can help you make decisions? We get the PE ratio by dividing the stock’s current market price by its earnings per share (EPS). 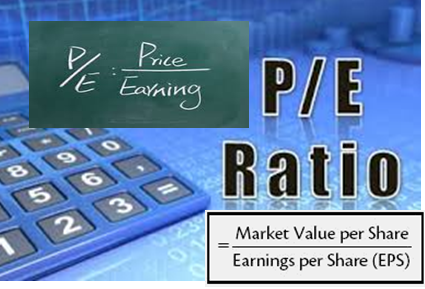 PE = current market price of the shares/ Earnings per share. If the current stock price for XYZ Telecom is $20 and its earnings per share is $1.25, its PE ratio is 16x. Therefore, the company is valued at 16x its revenue. Now, this alone is not enough information. We need to measure this company’s PE against other companies in the same sector to verify if this valuation is relatively low or high. Let’s compare the PE ratio of XYZ with its peers in the industry. Comparing the three stocks in the telecom sector, we can say XYZ is overvalued at 16x, while YRU is an undervalued stock. Provided other fundamentals are strong, I would invest in YRU’s stock. Note: While PE is a good indicator of the valuation, you cannot take a decision based on just that one indicator. It is important to check out the other indicators to gauge the health of the company and to guess which way the prices are likely to move. 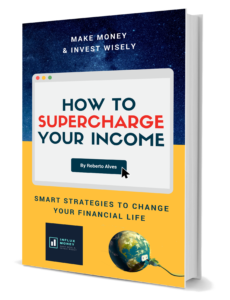 There are two types of Price/Earnings measures savvy investors can look for. One is a Trailing PE, determined by verifying the ratio on a quarterly basis. The other one called PE10 or PE30, determined over a longer period, say 10 or 30 years.Price/Earnings considered on the longer terms indicates a long-term valuation of a stock. Value investors typically tend to watch this indicator while investing. Small and medium term investors prefer to stick to a quarterly or a yearly Price/Earnings ratios. What do you do if there are no earnings per share, or if it is negative? As a new investor, I suggest you to stay away from companies that are not profitable. But, if your expertise in the domain tells you that the company’s future potential is good, based on its product/service lineup, then go ahead and buy. Remember to cover your risks by investing only 10% of total investment funds in any one particular stock. Keep a close eye on the price movements and if the stock price goes down below 10%, cut your losses and sell off the stock. There are always better stocks to buy. In summary, Price/Earnings ratio will help you recognise which stock is a good buy at the current price and which ones are overvalued. Always remember to track other fundamentals of the stock before making a buy or a sell decision and always remember to manage your risks by diversifying your portfolio.